Really, this is what gets me to finally PUBLISH a post after more than a year? Okay fine. Swistle told me to. Despite my hoarding tendencies, I have kept my mug collection quite under control. This is because I stash them in the cupboards at work. I still get to see them and use them, but they clutter a cabinet that is not mine. This only works for mugs that I do not have sentimental attachment to and are mostly for giveaway mugs that don’t quite make the donation pile. Honestly it is a little weird to see coworkers using mugs that spent years at my house, but it is also randomly delightful some days when I look over and see them across the room during a meeting. Cows – this is used exclusively for milk because it has cows on it. I have been tempted many times to smash it the way the giver smashed my heart (Yes it’s been several years. I am over it. Most days.) but I like it too much. I picked it out in a gift shop (best cheese popcorn ever) and it is a good reminder we had happy days together. 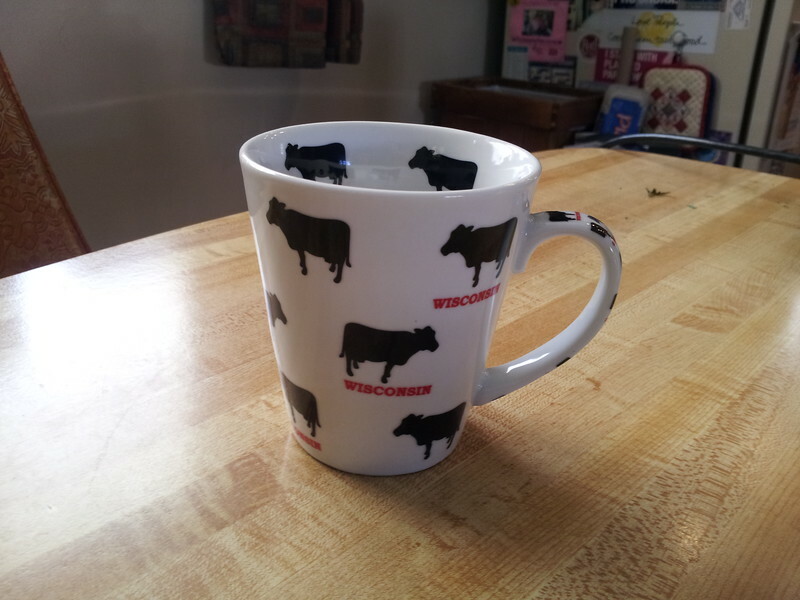 Plus milk tastes better in a cow mug, and I find the cows on the interior super adorable. 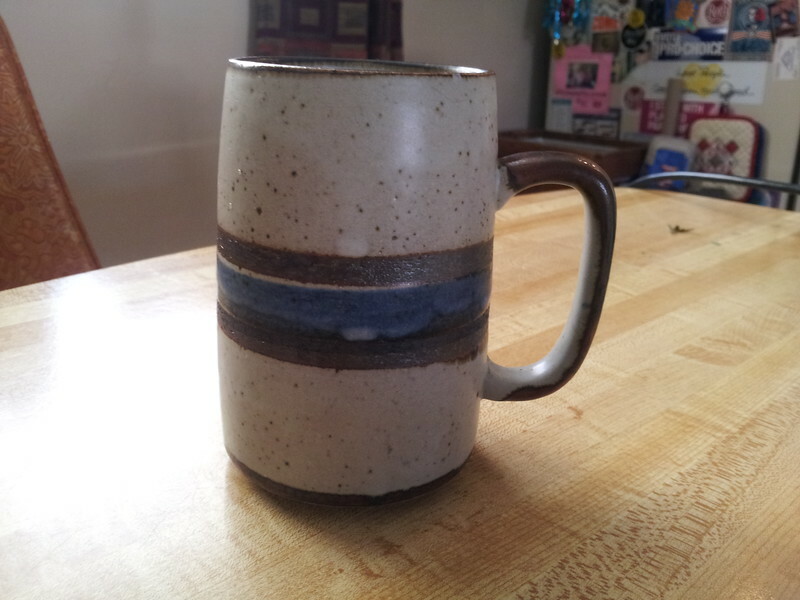 Jeff – again a castoff from my parents, but was always the mug I reached for at home. It is on the smaller side but is perfectly wide enough for dunking graham cracker sheets. 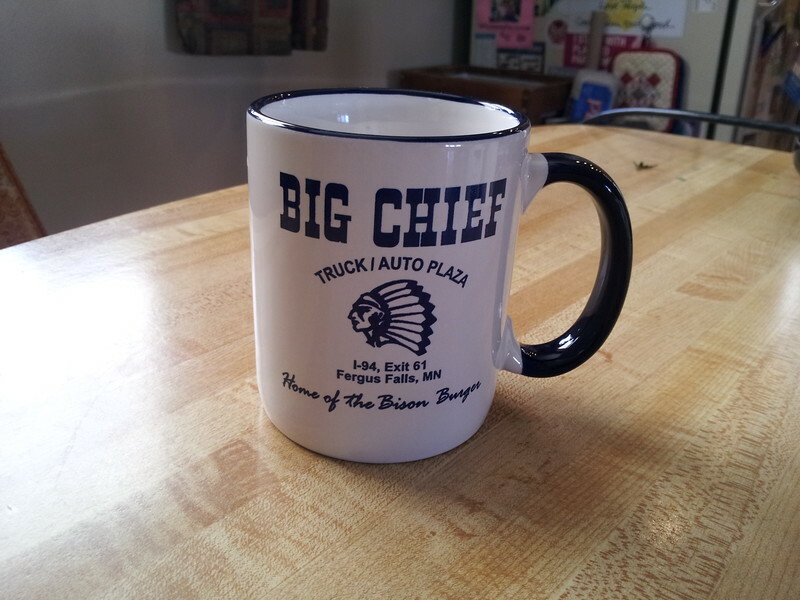 There was initially a Karen paired with Jeff as they were a wedding shower gift, but mom took hers to work before I was born and it remains her work mug today. 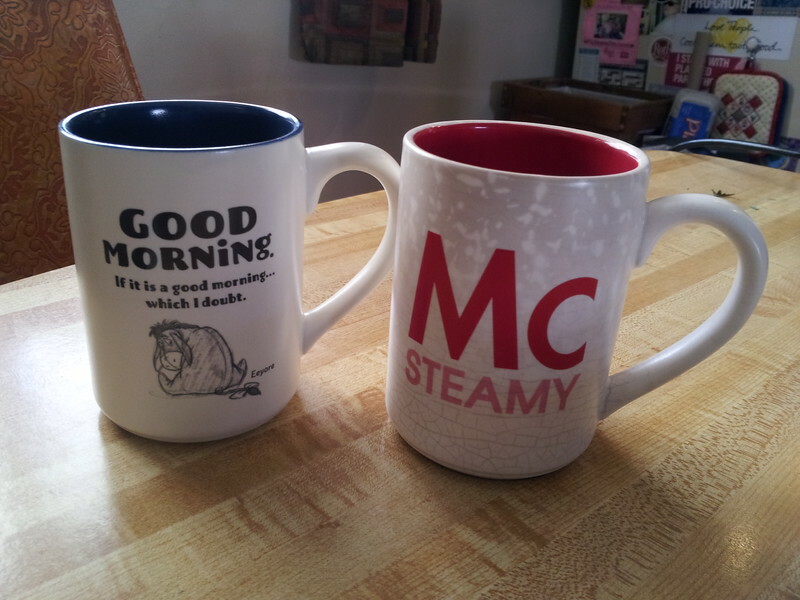 Jesse has a set of 8 matching mugs that are fine size/shape but are boring and he never uses them. It bothers me when I have tea at his house to not use one of my more fun mugs so I think a few need to make their way over to his cabinet. FUN! 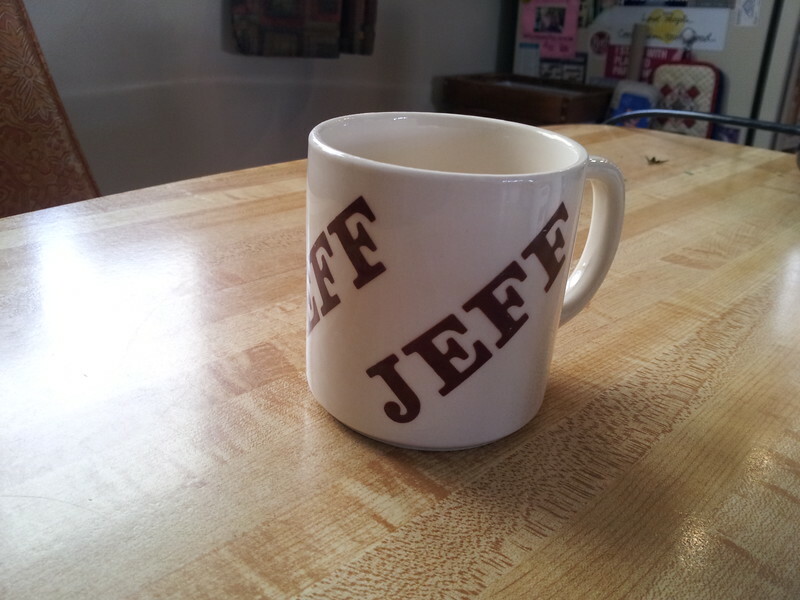 I think the most charming one to me is the Jeff mug.